It's not often Spokane gets to hear from a best-selling author and nationally-renowned motivational speaker. 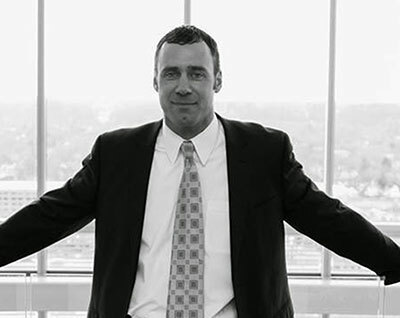 Thanks to GSI, Tony Rubleski, President of Mind Capture Group, is coming to town for a presentation this Thursday, April 20, 7:45am at the Spokane Club. Tony shares a message to help people capture more minds and profits. He is an in-demand speaker, who has given hundreds of presentations in the past decade, he's a strategic business coach, and a global event promoter. The cost is just $30 for members and non members. Go to greaterspokane.org to register. You can learn more about Tony Rubleski at mindcapturegroup.com. Respiratory therapy is a growing health care field and employers are increasing their requirements for educational levels and competencies for new respiratory therapists. That's why Spokane Community College will be offering a bachelor of applied science (BAS) in respiratory care beginning fall quarter 2017. This will be the first four-year degree offered at SCC. The BAS degree builds on an already strong associate degree respiratory care program at SCC. The BAS will replace the college's AAS in respiratory care beginning this fall as the American Association for Respiratory Care is pushing for a bachelor's degree to be the minimum education required to enter the profession by 2020. Washington's State Board of Community and Technical Colleges, the Northwest Commission on Colleges and Universities (the regional accrediting agency) and the Commission on Accreditation for Respiratory Care approved the new BAS. SCC has had a respiratory care program for over 50 years. It started out at Deaconess Hospital in 1965, and in 1966 moved to SCC as the Inhalation Therapy Program for one-year graduates. In 1970, the program graduated its first inhalation therapist with an associate of applied science 2-year degree. To apply or find out more, contact Gary White, SCC respiratory care instructor and program director at 509-533-7310 or Gary.White@scc.spokane.edu. Nectar Catering and Events is hosting two fabulous dinners in April. On Tuesday, April 25 is their first 5 course gourmet beer dinner with Wander Brewing from Bellingham. "Chef Steven has put together a mouthwatering dinner paired perfectly with 5 different beers," Says owner Josh Wade. "We are excited to start introducing Spokane beer lovers to new beer with these fun events." Later that week on Saturday, April 29, Nectar welcomes wine maker Michael Haig of Lake Roosevelt Wine Co, formerly Whitestone Winery for a Paella feast. The event includes a wine tasting, light appetizers and Michael's famous Paella. Space is limited for both events. Ticket prices, menu and information can be found by searching Eventbrite, visiting nectarcateringandevents.com or calling 509-290-5182. Robert Welk has been selling health insurance for 14 years. He has spent most of that time helping customers find ways to drive down costs by understanding and using the current health care system more efficiently. He discovered that the electric bike is another creative way to drive down costs in general especially in the area of healthcare. He and his partners started Spokane Electric Bike Sales & Rentals at 12112 N. Market Street in Mead. 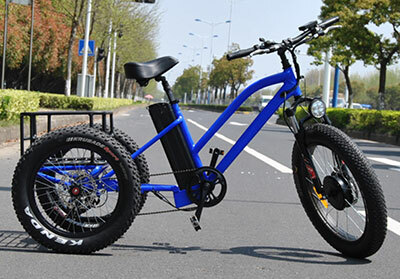 They have developed an electric bike and have built several models which you can see at their website, spokaneelectricbikerental.com. They designed the bikes to address key challenges that likely buyers would face. First, they oversized the battery so the bike can act as a moped when a rider gets tired. As a result, the bike can be used more frequently especially for short trips to stores. They oversized the tires to reduce the wear and tear on the riders back and knees. Spokane Electric Bike Rental offers clients the ability to return the bike for a refund of everything they have spent, less $400, if they have had it less than 4 months and have ridden it less than 400 miles as long as the bike is in good shape. This refund policy reduces the risk to a client that they would spend a lot of money just to have the novelty wear off. Finally, they offer a parts and labor warranty which includes tune ups, wear and tear items and manufacture defects for an extended period. This incentivizes clients to drive their costs out of the bike because they have no fear of breaking the bike under normal circumstances. They also allow clients to rent bikes at $50 a day (cost applies towards purchase) so they can take their time in deciding which bikes make sense to them. For more information call 509-443-5416, or 509-362-1784, or 509-362-1755. Welk's email is robert@robertwelk.com and the website is www.spokaneelectricbikerental.com. Kendall Yards just keeps getting better and better. Maryhill Winery of Goldendale will open a 5000-square-foot satellite tasting room this fall in the new 'Bluff Building' in-between Spa Paradiso and Nectar Beer & Wine at 1323 W. Summit Blvd. The winery will have a 180 degree view of the Spokane River and Downtown Spokane and will have inside seating as well as an outdoor balcony area. 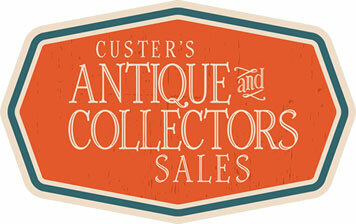 It's time for Custer's Annual Antique and Collectors Sale, Friday through Sunday, April 21-23 at the Spokane Fair and Expo Center. This year's show features over 150 dealers from across the west coast. Everything from rate to retro, including Mid-Century, Industrial, Rustic, Estate and Costume Jewelry, Vintage Clothing, Kitchenware, Folk Art, Glassware, Silver and more. Admission is $6 for adults, good all weekend; Kids 12 and under, free. Hours: Friday 4-9pm; Saturday 10am-6pm; and Sunday 10am-4pm. The Inland Northwest Chapter of National Association of Women Business Owners (NAWBO-NW) will hold its 10th annual fundraiser, uncorked! on April 28 from 6-9pm at the Kalispel Golf and Country Club. By participating in this fun event, guests have the opportunity to support local entrepreneurs and women-owned businesses, in turn strengthening the Spokane business community. This year's event will feature live music from Pat Simmons of the Cronkites, local wine, beer and cider from Barili Cellars, Cougar Crest Estate Winery, Robert Karl Cellars, Terra Blanc Winery, Waddell's and Twilight Cider Works and food pairings from 1898 Public House's executive chef, Tyler Schwenk. There will be live and silent auctions as well. Last year's fundraising effort went toward helping local entrepreneur, Lydia Cowles achieve her dream of opening Twenty-Seventh Heaven Scratch Bake Shop. Tickets and more information can be found at nawbonw.org. The Elson S. Floyd College of Medicine has hired several new administrators to develop and direct Washington State University's new medical school. Steven Grossman, assistant dean of learning communities and clinical professor. He comes from Canton, Ohio, where he was the medical director of two hospice and palliative care programs and had a long career in family medicine and medical education. Leila Harrison, assistant dean for admissions and recruitment. She comes from Texas A&M College of Medicine where she was assistant dean of admissions. Joshua Jacobs, chair of medical education and clinical sciences and clinical professor. He comes from the Association of American Medical Colleges where he was senior director of learner services. Andrew Richards, technology incubator officer. He was the cofounder and chief technology officer for ReelDx of Portland, Ore., before coming to WSU. Santiago Toro-Posada, director of curriculum accreditation and management. He comes from the University of British Columbia where he was the curriculum and assessment manager for the faculty of medicine. Randi Wasik, associate dean of administration, finance and strategy. She comes from the University of Washington's College of the Environment where she was director of finance and administration. In the upcoming weeks, the library foundation will also announce the historic hall of fame winners whom will be honored at the event along with the first recipient of the Elson S. Floyd Community Impact Award. The Spokane Citizen Hall of Fame recognizes individuals in the City of Spokane for their achievement in one of six categories while providing an opportunity to raise funds for the Spokane Public Library. 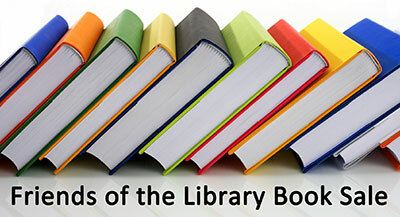 The Friends of the Library Spring Book Sale is this Wednesday, April 19 through Saturday, April 22 at the Downtown Library. Friends Members Presale is Wednesday from 4:30-8pm. Your membership must be current for 2017 and a membership table will be present starting at 4pm if you want to join or renew your membership that evening. Memberships start at $10. Hours are Thursday & Friday 10am-5pm, Saturday 10am-2pm and on Saturday only - Fill a bag with your choice of books for only $3, bag will be supplied. The sale is held at the Downtown Library in the first floor meeting rooms and art gallery. Most items $1 or less. For more information, call 509-444-5347. "Remember that each day comes with new opportunities. Yesterday is history. Today offers a clean slate upon which to record your life...and your legacy."